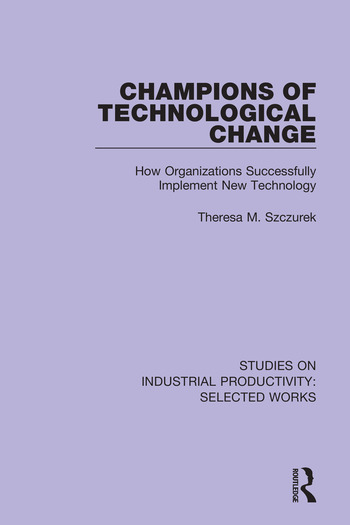 Originally published in 1994 this book concerns successful implementation of radical, technological innovations within business organizations. It extends and unifies paradigms for understanding implementation of radical innovations by modeling roles and interactions between key vending and buying firm players. It focuses on how interaction between certain players in buying and vending organizations affects successful implementation of the innovation and investigates the relationships between the user, buying change agent and vending change agent.